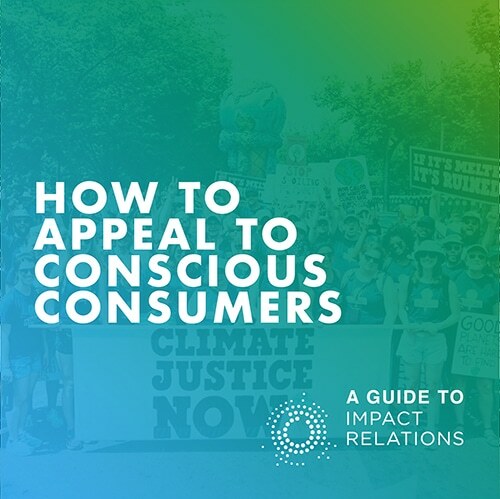 Consumers are increasingly considering the social, environmental and political implications of their actions. This coincides with growing awareness of the pressing issues facing humanity, through programs such as the United Nations’ Sustainable Development Goals (SDGs), designed to rally collective action to address the world’s greatest challenges. From climate change and ocean conservation, to poverty and education, the obstacles we face are daunting. The result? Conscious consumers. The next generation of consumers is growing up in an era of free information, where the perspectives and insights of millions are just a hyperlink away. Today anyone with wifi access can learn about the issues that plague humanity. This is fuelling conscious consumerism, with 91 percent of millennials switching brands to benefit a cause they believe in. Fast on their heels, Generation Z is poised to become a massive source of revenue, in the realm of $150 billion, and if the recent surge in youth protests in the last year is any indication, they are just as socially and environmentally aware as the preceding generation – if not more so. Be informed on the issues impacting your audiences, communities, and company stakeholders: Brands must have an authentic connection to an issue and be ready to react to them. Consumers will want to know why your company is trying to advance this issue and believe your connection to the cause is sincere.